Welcome to Seistek. This site is a repository for personal projects primarily related to electronics, with the main focus being on precision time keeping and general metrology. HP11848A and HP3561A PN3048 Phase Noise Measurement Software is a Windows program for measuring the phase noise of many different types of signal sources and two port devices using the HP11848A Phase Noise Interface and HP3561A Spectrum Analyzer. With these basic instruments, phase noise may be measured at offsets from the carrier of .01Hz to 100Khz. 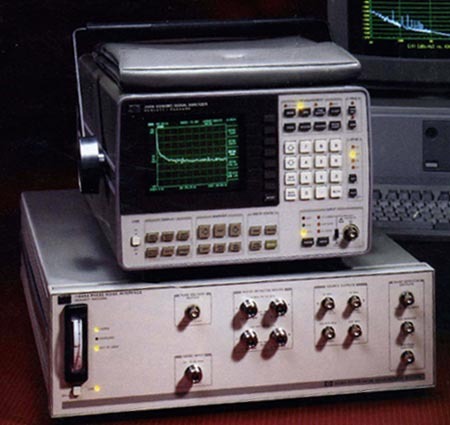 With the addition of an HP RF spectrum analyzer, such as the HP3585A/B, offsets out to 40Mhz may be measured. Here is a screenshot of the program with several phase noise measurements from various different low noise oscillators.